We compare two of the Best Baseball Hitting Nets, PowerNet vs Bownet. What baseball training supplies do you use as tools of the trade? I usually try to keep it simple. Bats, balls, helmets are all you need to get things started. The primary piece of training equipment that I can’t go without is my Portable Baseball Hitting Net. The PowerNet Baseball Hitting Net is a simple yet useful tool that maximizes time and efficiency. For coaches, that is a dream come true. There are several hitting nets (powernet vs bownet) available on the market. Some are for tee use, and some are better as soft toss nets. I prefer the PowerNet Baseball Hitting Net because it can effectively function as both. There are several innovative and creative aspects to the PowerNet Baseball Hitting Net design that make it stand out from competitors. Sturdiness, ease of set up, flexibility, weight, convenience, and versatility is what makes the PowerNet one of the best. We make our baseball hitting nets with quality products and materials. You will never need to think about buying another baseball hitting net ever again. PowerNet’s baseball hitting nets can handle hard use because it’s built to flex with impact. Let’s face it; kids can be clumsy and sometimes careless. The specially designed flexible rods and the sturdily built net will stand the test of time with your young kids. Our baseball hitting net can set up in just 90 seconds. Other soft toss nets are big, bulky and heavy and are a pain in the neck to carry around. Big and bulky nets might cause you to leave them at the field where it susceptible to the elements. No one likes working with a dirty, rusty baseball or softball batting net. PowerNet baseball hitting nets are only 15 lbs and are easily collapsible and flexible. I quickly throw my net the back of the truck, so I always have it with me. The opportunity allows me to practice with my son at home in our backyard. I would recommend to parents who want to get their kids some extra practice to purchase a PowerNet baseball hitting net for personal use. One of the most time-consuming parts of practice is having to fetch balls that are over-thrown or not caught. That’s where the “Big Red Target” part comes in. PowerNet baseball hitting nets come with a sizeable concave pouch in the center of the device to catch and collect the balls for you. Our Baseball Hitting Net’s center pocket has an outline with red stitching that resembles the size of the average strike zone which makes it an excellent tool for allowing pitchers to work on their location, ball placement, and general strike-throwing ability. My friend’s daughter who is a softball pitcher wants extra repetitions at home between practices. They set her up with a bucket of balls and use the PowerNet Softball Hitting Net in the backyard as a makeshift catcher. 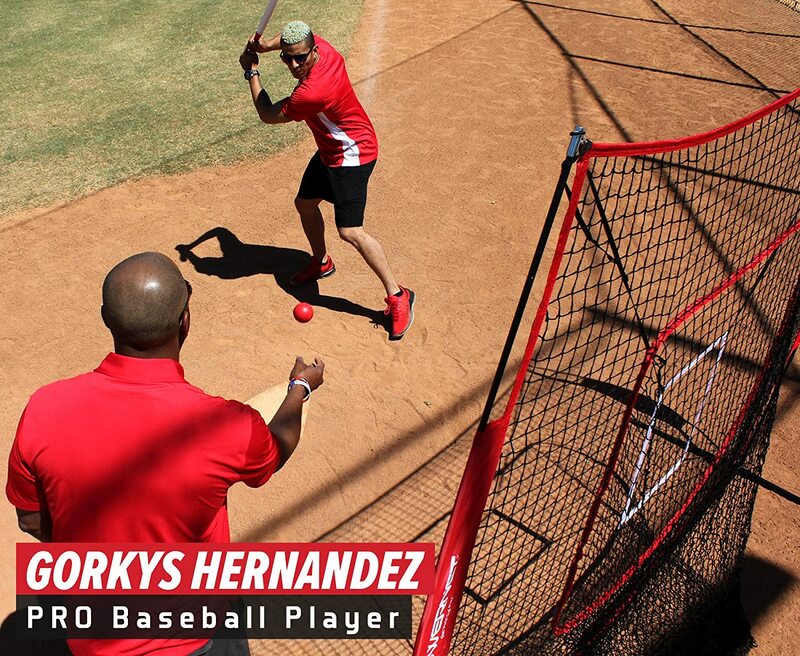 Our PowerNet Baseball Hitting Net can act as a catcher in practice scenarios with the entire team. With a low amount of players on a roster that sometimes will have different obligations and commitments, it’s hard to get everyone on the field at the same time. So it’s more than helpful to have the PowerNet Baseball Hitting Net nearby to take the place of a warm body behind the plate. There are numerous hitting nets (powernet vs bownet) on the market, so it is important that you do your research properly. PowerNet Baseball Hitting Net came into existence because of one goal. And that was to provide elite sports training equipment to parents, coaches, and players of all ages. So far, the company has achieved exactly that goal. It is a well-organized company with offices in New Zealand, USA, Canada, and Australia. Durable material: Makes this practice net strong and capable of lasting for ages. 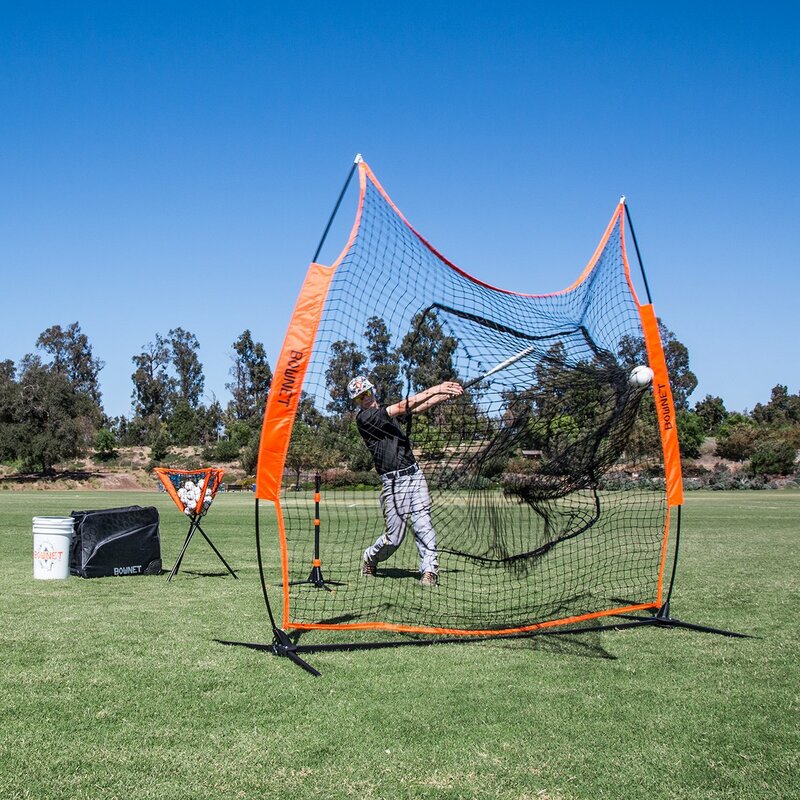 Portable design: Allows you to carry the training net for in-field practice, tee-ball practice, soft-toss, and softball and baseball pitching practice. Uniquely designed bow frame: It allows the slight bend of the poles to allow for flex. Sturdy structural net: Capable of resisting all levels of throwing, pitching, and hitting stress. lifetime warranty that allows you to buy with confidence knowing any defect will be rectified. The Bownet Big Mouth X is considered the original and most reliable portable sock net for Baseball and Softball Hitting and Pitching. INCREASED STABILITY: Heavier gauge steel base will stay balanced on any surface and withstand the hardest hits and pitches from the most elite athletes. FEWER PARTS: The NEW one-piece base frame is hassle-free because there are fewer parts to lose. The connector (patent pending) is made of a tough glass-filled synthetic polymer that combines the hinge and pole sockets for ease of assembly. LONGER LIFESPAN: Heavier, powder-coated steel base frame construction is engineered to outlast any frame on the market. Removed bottom sleeve transfers ball energy to outer bungees to reduce tension on the net and increase the lifespan. FASTER Set-up: With fewer parts, Bownet’s Big Mouth X sets up in as little as 60 seconds allowing more time for practice. INCLUDES: The Big Mouth X includes the new one-piece base frame, 7’x7′ Big Mouth X net, Big Mouth X new heavy duty carrying bag. Also included with each purchase are Bownet’s outstanding customer service and one-year manufacturer warranty. Practice Your Pitches Anyplace! Bow Net’s Big Mouth Net allows you to work on your pitches or other sports techniques in the comfort and convenience of your own backyard. 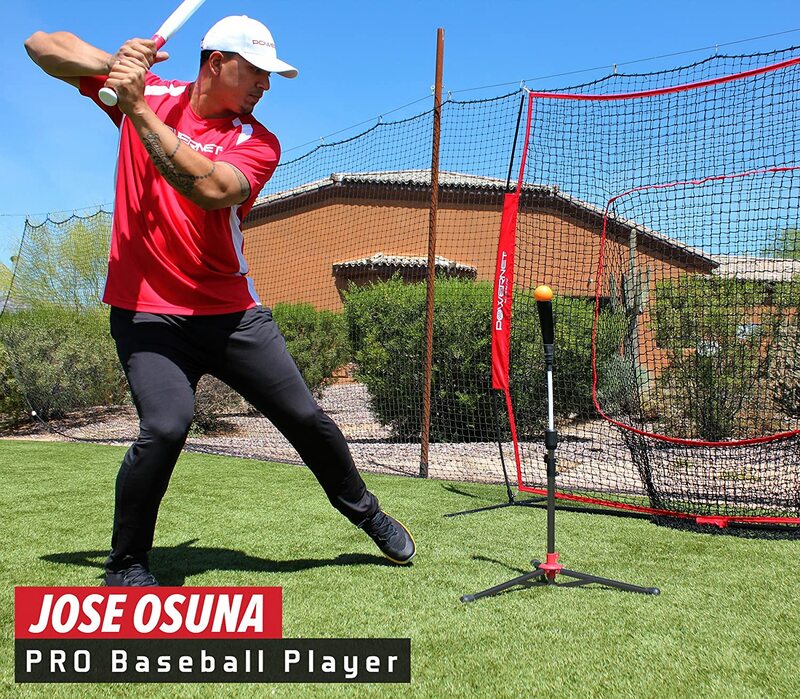 The ultra durable net sets up in seconds and stays stable throughout your conditioning and is designed with a special sock net to catch baseballs and softballs. The NEW one-piece base BOW frame is hassle-free because there are fewer parts to lose. The connector (patent pending) is made of a tough glass-filled synthetic polymer that combines the hinge and pole sockets for ease of assembly. 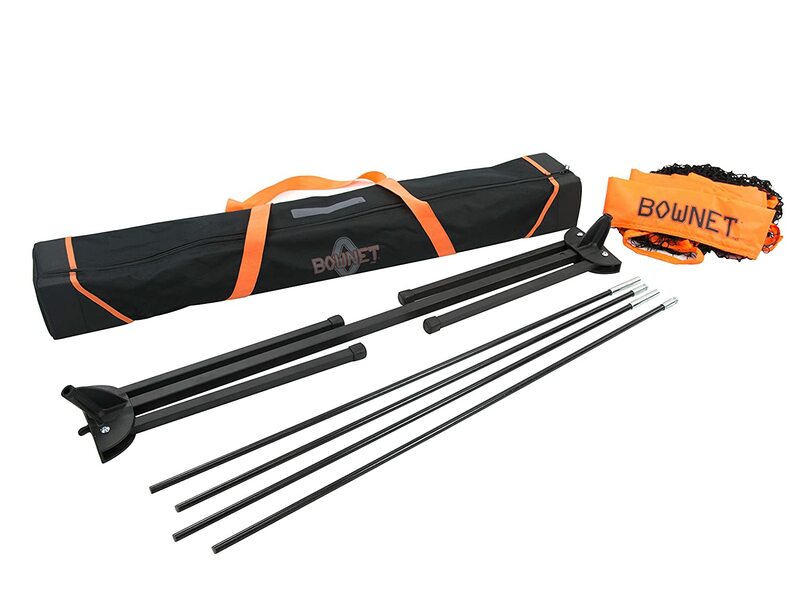 With fewer parts, Bownet’s Big Mouth X sets up in as little as 60 seconds allowing more time for practice. Heavier, powder-coated steel base BOW frame construction is engineered to outlast any frame on the market. Removed bottom sleeve transfers ball energy to outer bungees to reduce tension on the net and increase the lifespan. The design of the training equipment you buy needs to reflect the real purpose it is supposed to serve. One of the key factors in the design of portable equipment like the ones offered by PowerNet and Bownet is the variety of sizes available to customers. In many cases, it comes down to individual products being slightly larger or smaller than the competitor. Both brands also offer a quick set up feature for their nets that are very similar in design. Based on the nets available on Amazon, Bownet has slightly more equipment sizes overall on offer at the moment. That said, the difference is very minimal, and unless you were looking to buy their whole stock up it probably wouldn’t make too much of a difference. PowerNet vs Bownet – Bownet is taking the Width x Height approach. The ability to move a net from one area to another is his advantage of portable sports equipment. It’s what makes them so attractive to coaches and players. When examining these two brands, what I was able to discover is that both offer products that are highly portable – this really is one of their biggest selling points. If you have the ability to carry items in excess of 15-20 lbs, you should be able to physically carry most of their products. It is also worth noting that all items offered by both companies would be a challenge for anyone to move without a functionally appropriate vehicle. I would not recommend anyone attempt to move from place to place while riding public transport or a bicycle as they tend to be quite long and would be difficult to maneuver in crowded areas! Naturally, most products for both companies come with carrying bags to help with transporting and storage, and ground stakes to keep everything in place when in use. PowerNet vs Bownet – They are both good choices. 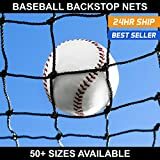 If you are looking to possibly build your own hitting station with a homemade backstop, then you are going to want to order this net. This will also be used for cutting down a batting cage in half to give you two hitting areas inside the cage.